Let’s look at a few ways to eliminate these disease-causing foods from your life and how the no junk food diet will make healthy changes in your life. Junk food may be a regular part of your life. If you are going to break free of poor eating habits at work or home, you’ll need a plan. Consider what food you will eat instead, if you will be cooking more, and what you will snack on at work. This goes hand-in-hand with tip 2. Let’s say you go for the M&M’s at the vending machine at around 3:30 every day to get away from your desk and fill your craving. If you associate this time with snacking on junk food, replace it with something like walking to the grocer to grab an apple or banana instead. Get in the habit of looking at ingredients on a food label. For the most part six or more ingredients means your food is processed or has a bunch of ingredients that are not good for you. Take General Mills Yoplait for example. Yogurt is generally associated as being a healthy snack but this seemingly good-for-you food is loaded with twice the amount of sugar as Lucky Charms cereal. If your foods have five or more ingredients or a bunch of items you’ve never heard of, move on. In this documentary, Morgan Spurlock, the filmmaker, tests himself by eating McDonald’s fast food three times a day for a month straight. This award-winning film showcases the effects poor food decisions have on Spurlock’s body, cholesterol levels, organs and overall health. If this doesn’t motivate you to change your eating habits nothing will. 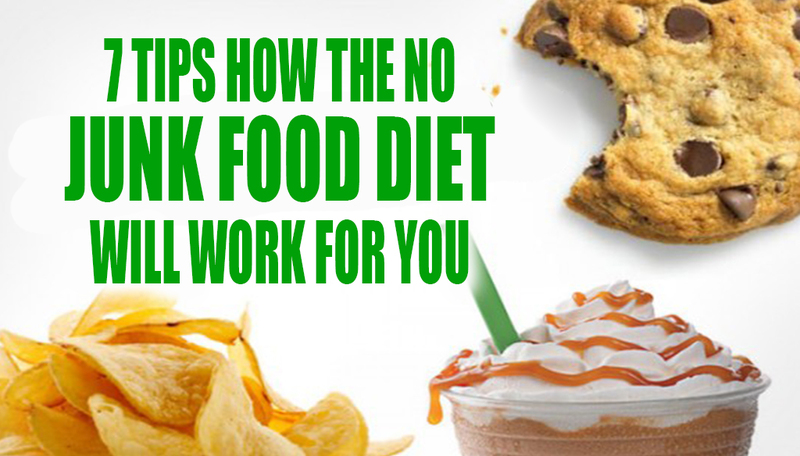 If you want to rid yourself completely of junk food you’ll be a healthier person for it. If you still have your cravings that you need to fulfill, don’t go crazy thinking you have to ban junk food from your life. Begin by trying to omit junk food from your diet for a few weeks and you’ll be surprised after a few days how quickly your body can adapt. If you want, introduce junk food only one day a week (a veritable cheat day) so you can get your fix and maintain your health. No Whey of Knowing Which Protein Powder to Take?